After spending a lot of time studying with shamans in Siberia, I wanted to pass on some of the insights I gained. But I didn’t want it to be dry and anthropological. There are many books like that already. And also, I didn’t want to identify all the sources. Deadly rivalry breaks out among apprentice shamans in contemporary Siberia when a Western outsider arrives. Shamans have just re-emerged after Soviet repression. Chimit is a musician from Tuva, not far from the Mongolian border. Childhood friend Zoya, a female shaman, has taken him on as an apprentice. And he begins learning how to heal, access spiritual energy and direct it. In Boston, graphic artist Ray Farmer strikes up an Internet friendship with an ex-Speznaz paratrooper near Lake Baikal, and decides to visit. He visits Olkhon, the holy island in Lake Baikal, where he starts making connections with the spirit of the place. A local artist suggests Ray travels to Tuva where he could ask the shamans about spirituality and art. There, he becomes a reluctant apprentice, falls in love with Zoya, and gets into a rivalry with another jealous shaman. And suddenly Ray is plunged into a fast moving turmoil involving trust, belief, betrayal, fear and courage before he completes his task. 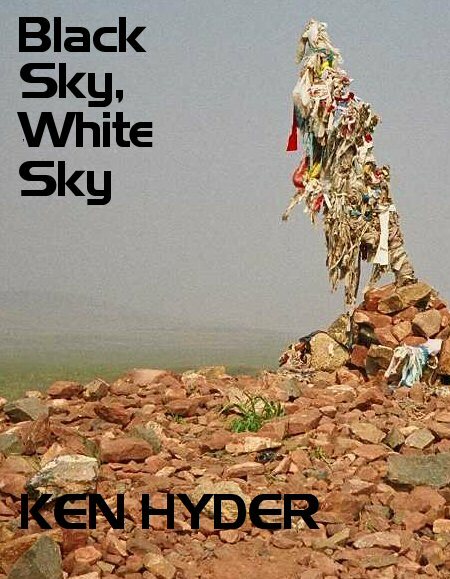 The book cuts across genres and seeks to set out the landscape of the mind, culture and spirituality of Siberia allowing the reader to identify with and understand the action – which often takes place in the altered states of characters. You can read the first chapter and buy the book on Amazon. 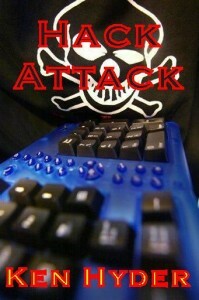 Hack Attack is a 21st century fast-moving thriller exploding in a massive global cyber-terrorism meltdown. Set in the period before the Snowden NSA revelations showed just how much state-hacking was going on, the book illustrates how criminal hackers can also hold countries to ransom. In Siberia, Kolya hacks an American oil company for revenge. They bought up a whole engineering institute in the science-city of Akademgorodok, plundered the existing research, then sacked everybody – including his father. In Kent, Adrian, the son of a top career-criminal has been trying his hand at being a junior hacker. He comes across a team of slightly older, more experienced hackers, and with his father’s encouragement, he approaches them. He suggests a partnership where his family selects targets for cyber-extortion and launders the money and the Guildford-based team of hackers does the intrusions. They successfully hack banks and other big financial institutions who pay up large sums to stop them destroying their systems and making clients’ data public. After a string of successes, they decide to lie low for a while. Then an item appears in a hackers’ chat room. An organisation is looking for top-rate hackers to do a job. Kolya replies because he wants money to set himself up in business and to provide a good home for his girlfriend who wants to leave Siberia – which he loves – for the bright lights of Moscow. And the Guildford team reply because they are bored with the lay-off and want some more excitement. The organisation – everybody is hidden behind anonymised email addresses – appears to be a terrorist group. They want freelance hackers to attack the US infrastructure, taking out air-traffic control, electricity and communications. The hack-attack begins, and large parts of the US are brought to a standstill. Meltdown. After September 11 2001, the US is panicking. The attacks keep coming and eventually the US asks MI5 for help. Their expert is a Scottish cyber-security consultant, Norrie MacGregor. Can one man stop the attacks and track down the hackers and uncover their paymasters? But what Norrie discovers is unexpected – and for some governments, inconvenient. See the first few pages free, here – Amazon. How to Know – Spirit Music – Crazy Wisdom, Shamanism And Trips To The Black Sky is deliberately short and tight. From the beginning, my teachers passed on their knowledge simply and briefly. The book reflects the way I gained insights along my path…from Dundee, Scotland to the heart of Siberia and the shamans of Tuva, on the border with Mongolia. Of course I read books. Lots of books. And I learned a lot from books. But what really struck me was that all along the way, everyone who gave me insights did it and a simple, brief way. The memoir is brief and to the point. It is more about showing how to find the knowledge rather than giving a booklist. I cover a lot of ground in Spirit Music including Gaelic psalm singing which was the foundation for gospel. Here are a couple of links to the free look at the contents in Amazon UK and Amazon US. Also an excerpt from a chapter on the All About Jazz site. “An intertwined spiritual and musical search has marked and continues to characterise the entire history of Ken Hyder, a multifaceted figure who defies genre labels and simplifications. “Percussionist, composer, writer, anthropologist, shaman, and journalist are just some of his many incarnations. To find out more, and of course an extensive discography, there is this singular autobiography, a memoire in which he recounts his experience as an explorer of unconventional music partly derived from his native Scotland, becoming deeper and eventually taking him to Tuva, the court of the Siberian shamans, to become in turn a shaman himself. “It is a cross-cultural journey and, on closer inspection, more philosophical than musical, where percussion technique and rhythm are at the service of a higher dimension : the spiritual. A very sharp and informed analysis of the book by Thomas Brett. 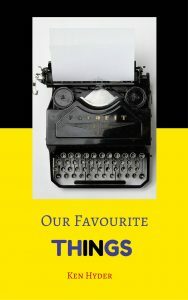 Our Favourite Things. It’s on Amazon, and if you click on the cover, and then “Look Inside” you can see an excerpt. What you will find is a wide array of favourite things listed under different headings covering a lot of the things we love. Then to make it more interesting, friends from all over the place have contributed their own lists, some of them dealing with their special expertise – like guitar effects pedals…or potatoes…or Siberian vodka. 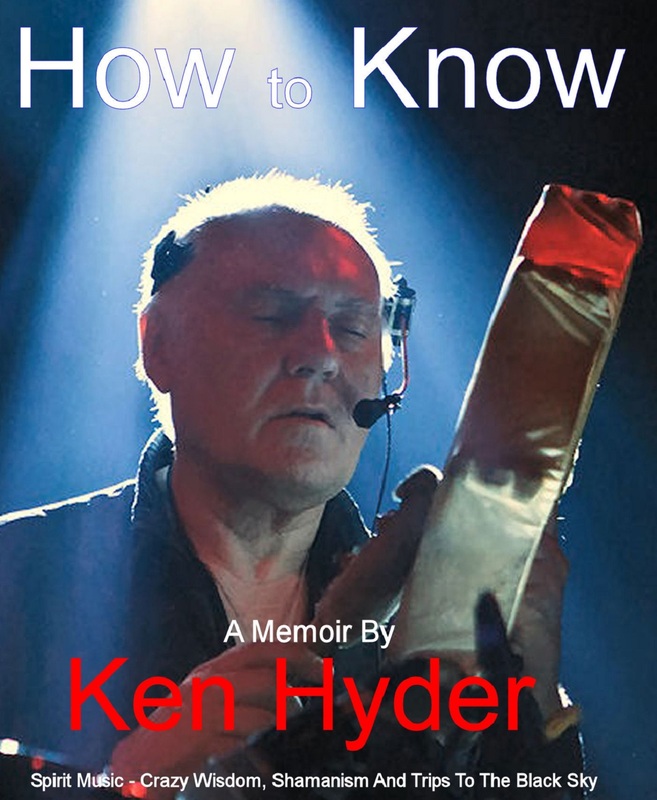 Simply search “Ken Hyder books Amazon”. More talking, than writing is The Song House, a BBC radio programme on Gaelic Psalm singing, a form of spiritual singing not as well known as it should be. 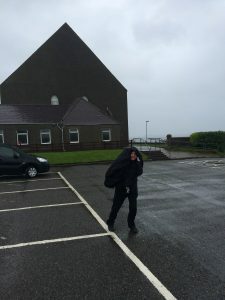 They sent me up to the Isle of Lewis in Scotland, to interview the people who are part of this ancient music, which incidentally formed the impetus for gospel music when it went to the American southern states. The following two papers were presented at a symposium at the School of Oriental and African Studies in London and are reproduced with permission from the AHRC Research Centre. At the root of Siberian shamanic practice is the dungur – the shaman’s drum. It is an instrument traditionally played only by shamans. This paper – by a musician who was instructed by shamans and who has played with shamans – examines the dungur, how it is constructed, how it is played, and the role it plays in shamanic practice. The paper also discusses the roll of spirit or spirit-energy in Siberian music. John Coltrane used to say that every tune ends with Elvin Jones – the drummer in Coltrane’s classic quartet which produced some of the most powerful and spiritual music in jazz in the 1960s. Gendos Chamzyryn – whom I play with in the trio K-Space – says that the dungur shaman drum is the basis for shamanic music. I began my musical career as an aspiring jazz drummer in Dundee, Scotland in the 1960s, and 30-odd years later I found myself studying shamanism in Tuva, Siberia. Unlike my drumming teachers in Scotland and later in London, the shamans never said a word about how to hold the drumstick (the orba). They never talked about rhythm, nor tempi and hardly mentioned music at all. The rules and advice about the drum (dungur) were not about the playing. They were rules like – never place the dungur on the ground. And advice like – just listen to the drum. And like a lot of this kind of advice, it sounded simple, and obvious when it was given, and insightful when it was put into practice. There was no doubt however, that the dungur was – alongside the kuzungu brass mirror – the most important instrument for shamanising. So before considering shamanism and music in Siberia, I want to examine the dungur. Initially, I’d like to consider the dungur not as a musical instrument. It’s not used by shamans as a musical instrument, and shamans do not consider their playing to be musical – it’s a spiritual practice. And they are similar in this approach to Tibetan Buddhist monks. I played several tours with different monks, and they all thought of their “music” as spiritual practice, not music. Shaman drums vary in size and shape. Some are egg-shaped but most are round. Nearly all are single-headed frame drums. Some have “horns” on the shells, wooden bumps like knuckles over which the skin is stretched. In Sakha there are nine sets of these horns, representing the nine skies. In Tuva it’s eight, representing points of the compass. Within regions there’s a lot of variation, too. In Tuva, some have no horns at all. Also in Tuva, some may have two cross struts inside to allow the drum to be held, but some shamans say it’s only correct to have just one upright handle. Goatskin is most common in Tuva for the head. An average size of dungur in Tuva will be about 16 inches. Some shamans however have much larger drums. The head may be painted, either with animal figures or a coloured wash, but most are left natural. The pitch fluctuates widely according to the amount of moisture in the air. Shamans often leave their dungurs resting on the slope of a yurta facing the sun in the morning to warm up. Or they heat the heads over a fire, especially before doing a kamlanie open-air ritual. Inside the drum are bells, and again it’s down to individual preference in terms of the number of bells and the size, and the ringing quality. Then there’s the orba. It’s like a big wooden spoon. The handle might be an inch to an inch and a half thick. And the spoon part, maybe two or three inches wide and four to five inches long. The round surface is covered with fur – wild boar and reindeer deem to be the hardest-wearing. On the concave part of the spoon it’s common to see three groups of three metal rings for rattling – sometimes they are made out of old coins. To know what it all sounds like, you have to be there. If you sit behind a drum kit and play, it sounds a lot different from the way someone else will hear it even in the front row of an audience. Between six and nine feet out the sound changes. Some frequencies will carry more than others, depending on the acoustics also. The cymbal sounds will merge. The drum overtones will decay more quickly than the cymbals. Within a second, say, you could hear four or more drums being hit and maybe four or five cymbals. Please take my word for it. It sounds great. Recordings do not do justice to the complexity of the sounds. When you play a dungur, you’re nearer still. Maybe 12 inches. Or nearer. I know one shaman, Tepan, who plays with his ear about two or three inches from the drumhead. The sound is spectacular at that distance. There are other things happening too. Because of variations in tension in different parts of the head, and variations of the thickness of the skin, when you are up close, you hear microtonal differences very clearly. These variations are heard when you play on different parts of the hear, but there are also differences generated by pressure and the way the head moves up and down. These differences also generate subtones which the ear cannot hear, but which the body can feel. I took two of my dungurs to a friend who is both a musician and an acoustic architect. He has equipment which can measure subtones ie tones below 20 hz. One drum with a 60 hz main frequency, also generated a 10 hz subtone. The other had a 70 hz main frequency with an 8.5 hz subtone. That was with a single hit. When played continuously the drums also generated subtones of 2 hz and 5 hz, and 2 hz and 3 hz respectively. These subtones will vary according to the tension of the head. Parts of the body resonate with tones from 3 hz to 100 hz. Occasionally when playing a dungur, you’ll feel some of these effects in different parts of your body. Another interesting fact is that more than most instruments, the dungur is highly directional. A trumpet is strongly directional too, with the sound blasting out of the bell. But a dungur is simultaneously bi-directional. If you hear the sound as you face the drumhead as it’s being played, you’ll hear a more toppy sound from the skin, and the rattling of the orba will be clearer. From the other side of the dungur the sound is more boomy and hollow. The sound of the bells inside the shell will sound different, too. Shamans tend to move around a lot when they are playing, so a listener will hear a lot of changes in the sound…including a mini-Doppler effect. And if the shaman is singing at the same time, the voice will also change as its vibration plays on the drumhead. It will be reflected in one direction and modified on the inside of the drum. Some anthropologists have talked about the sound appearing to come from different places – above/below/left/right – as shamans played, suggesting it was some kind of ventriloquism. I do not rule out ventriloquism, although none of the shamans I know practices it. It’s likely that many of these perceptions arise from the particular qualities arising from the construction of the dungur and the movement of the shaman. Once, for a year, I hardly touched my drum kit. I played the dungur. I got inside the drum. When you play that closely, the minute variations in sound – and pitch – generated from different parts of the head are magnified. Then there is the variation in sound from the weight of each beat. And there’s the rattle from the metal discs on the orba. Lots of tiny percussive episodes completely and irregularly out of synch with the beat, and with each other. Of course the orba rattles as it goes through the air, before it even lands on the dungur. And those percussive episodes are different each time according to how the beater is flicked, or held steady, or is travelling slowly, or quickly. The bells and bits of metal inside the drum add to the one-instrument universe of percussion. I have 13 bells on one of my dungurs. Some bells are bigger than others. The range is wide. The way they ring out also varies according to the way the dungur is being played by the orba. But also according to how it is being moved through the air. The bells will sound even if the dungur is not being played. You just need to move it. The response is not even. When you’re up close, the dungur is a big instrument. There’s a lot going on. It’s not just bang-bang-bang. Before examining how it’s used by shamans, it’s worth remembering that in most parts of Siberia the shaman drum has not made the cross-over to folk instrument. It’s only recently that musicians in Siberia have started using dungur-like drums in their music. The point is that there is no real history of dungurs being played with folk instruments, and therefore no generalised established style or technique of playing frame drums. Sakha is perhaps an exception. The dungur – sometimes called the shaman’s horse – is an instrument designed to be used to help the shaman reach an altered state where he or she can make spiritual connections. The drumming starts. Each shaman has his or her own song – an algysh – which is sung over the drumming. The drumming and the algysh are highly individual. The algysh is a proclamation to spirits – this is me…help me. The drumming becomes a part of the psychic state of the shaman. It is an audible reflection of the unseen psychic state. The whole thing is NOT intended for any human listening outside the shaman. The playing might get louder/quieter; faster/slower; more rhythmic/more non-rhythmic. Shamans divide up the surface of the drum into regions. Sometimes these regions are determined by patterns on the drum head. A line across the head may indicate an upper-world/lower-world division. A shaman might beat on a certain part of the drum to access a particular spirit-helper. The sound of the drum feeds back into the shaman as a kind of loop indicating where they are psychically at that moment, and also where they might be wanting to go. The shamanic flight is not a mystery tour. The shaman needs to go somewhere to do something in particular and the drum is also a kind of guidance system. On occasions when shamans might actually be playing together, they will each continue with their own way of playing, in their own time, and space. The way individual shamans play the dungur varies greatly. One of my teachers plays in a pronounced arrhythmic style with irregular accents and silences. He plays for a short period of time only. Another plays for much longer – maybe ten minutes or more. His playing is more regular, but it speeds up and slows down. There will occasionally be irregular accents. And I’ve noticed a style in Kyzyl, Tuva which is much more regular and driving with little variation. A few shamans who were previously musicians make a strong distinction between shamanising with a dungur – and playing music. It is a different activity with a different purpose. Of course that does not mean that there are aspects of shamanism which cannot inform musical performances. What if we applied shamanic rules of performance to musical performance? As I pointed out earlier, my Siberian teachers did not tell me how to play, never mind how to hold the drumstick. The most important lessons for me were to do with freedom and individual freedom. The dungur itself leans toward the wayward. You play BANG-BANG-BANG , and you get krr-k-krr-tring-trrring-tonnng-k-k-krrr-BANG-trrrrring-tring-krr etc. The “one” is never precise. The tempo is unstable. The accents apparently haphazard. Of course they’re NOT haphazard at all – they’re just happening according to another system. If you translate the way the dungur plays to the way musicians can play western instruments collectively, then you can start to imagine how shamanic music might sound. And if you listen to several shamans doing a ritual together, then the possibilities open out further. Now take three musicians, playing at the same time, but in their own time and space and tempo. Individually speeding up or slowing down. Placing accents where they individually feel them, rather than where musical rules might dictate where they should go. What might that sound like? Tim Hodgkinson and I had that sort of realisation when we came back to Britain having spent much of the summer in Siberia. We went for a walk in the countryside. We listened to the birds – playing in different keys and different tempi. And the drone of the wind in the trees…and the motorway traffic about three miles away…and some people talking unintelligibly far down the hill….and a plane going overhead a long way away. And to our ears it didn’t sound wrong. In the early 1990s Tim Hodgkinson and I were sitting in the Moscow kitchen of Russian gipsy singer Valentina Ponomareva. Things were changing in Russia politically, culturally and economically, and changing fast. Russians know what they mean by Russian soul. They also talk about the spiritual quality of Siberia whether they’ve been there or not. In Siberia people talk about the spirituality of Lake Baikal. All in all, there’s a lot of talk about spirituality in everyday exchanges. A lot more that we’re accustomed to in the West. This awareness of spirit, its desirability in life, and in musical performance is more apparent in Siberia. Whenever we toured there as a duo in the early 1990s, it was common for people to talk to us after a performance and talk about how they connected with spirit. Sometimes it was specific. On one occasion, we played a piece where we tried to create a vortex of time. We called it “Time Well”, and a woman presented us with a drawing of a vortex/well she made during the concert. In Yakutsk someone commented: “Here we have nine different energy levels and we noticed you going through them. And we noticed that you seemed to have some difficulty with energy level number three, is that right?” And in the Altai, an artist dashed off 20 spirit-drawings during a performance. Near Lake Baikal elderly Buryats put their hands together in prayer as we played, and later a local music instrument-maker explained that what we were doing wasn’t some avant-garde music, but the same old spirit-music played on different instruments (saxophone and drumkit). It seemed perfectly natural that this idea of spirit in music could be a way of connecting with musicians. The Yakutsk audience’s nine levels of energy we later discovered corresponded with the shamanic cosmic structure of the Nine Skies which is also a central part of shamanism in Tuva. It opens up the idea of specific spirit or energy within a more general notion of spirituality. From our very first trip to Siberia in 1990 we wanted to play with local musicians. We came from a background of improvisation. Both individually, and as a duo, we were accustomed to playing a concert completely off the cuff. Our experiences in Siberia however nudged us into finding ways of shaping that improvisation. Playing with local musicians we had to find common ground. There was no point in us trying to play like them, playing their music – because that’s what they did well, already. Similarly it was pointless asking them to play like seasoned improvisers who’d spent a couple of decades on improvisation techniques. Musicians who had come from shamanic cultures – even though their local shamanism was repressed by the soviet system – had an awareness of spirit and energy, and the possibility of connecting with spirit and playing in an energetic way. Indeed the importance of spirit in the indigenous folk musics become more and more apparent. Throughout the last century a lot of folk music became more and more polished as individuals “learned” to play it from music teachers. Soviet performances presented a highly polished version of folk music. And the opportunity to play – and make money – in the West led a lot of musicians down a path of professionally played highly musical performances. But even some of those new professionals admit that things were different in the old days. If you ask what was considered top-level folk music, they’re likely to talk about some old person, sitting in a yurta, playing or singing about the spirit of the taiga, or the mountains of their locality. They’ll describe a highly-energised, highly-spiritual performance where the emphasis was on these qualities. And they’ll talk about how a line might be cut short, or extended according to how the performer felt at the moment. When I asked one shaman how I should approach playing music, he replied: “You’ve got to get past caring. In fact, you’ve got to get past noticing that you’re not caring.” What he meant was that I should be so focussed on the spiritual intention, or the energy of what I was playing, to the point that musical considerations were minimal. If you consider a sliding scale of spiritual priority on one side to musical attention on the other, you’d find shamanic performance on the far left, and classical music on the far right. On the left, spirit rules. On the right music rules. When we began playing with Siberian musicians, we found that focussing on the spirit or energy provided a common ground. The more the musicians were already appreciative of spirit in music, the easier it was to almost instantly create a bond which allowed the creation of a genuinely collaborative new music. When the performer concentrates on the spiritual aspect of playing it allows the music to become very loose, and in that looseness is spontaneity, originality, freedom. When several musicians are playing within this aesthetic priority the music opens up considerably, the collective accumulated energy dictating the strength and impact of the performance rather than musical considerations. When we asked Gendos Chamzyryn to contribute to the sleevenotes of the K-Space CD “Going Up” he said: “This music is improvisation, but fundamentally it’s shamanic – shamanic not in the sense of ritual, but in the sense of K-Space. In Russian ‘k’ means towards and ‘prostranstva’ would mean ‘a space’, so ‘an opening up’, here meaning ‘opening connections to the cosmos’. we can say experimental music. Here there are very many sounds, and sound is extremely important. “Each person must feel it with the heart, the mind, the head, the body. This is music that is not for itself but for people. That’s how it can be understood. In the mid 1990s Tim Hodgkinson and I had an eight-minute encounter with Russian science which was as sharp, clear and impactful as a shamanic experience. We were on the last part of a long Siberian trip where we had visited Lake Baikal, Tuva and the Altai. In the way that these things can happen, we were stuck in the capital of Siberia, Novosibirsk, our last concert in Omsk having fallen through. Then somebody suggested playing Akademgorodok, the science-city set up in the 1950s to keep their top scientific brains out of the hands of American spies. His line of argument was like this. In the beginning, humankind communicated with a different field of the brain but there were cosmological changes in the earth’s magnetism. This made it difficult for people to continue communicating in this psychic way – except for shamans. His department had conducted experiments where they lowered the background level of magnetism so they could determine if it increases psychic communication. Then the name Nikolai Kozyrev came up. At the end of the lecture, Kaznacheev’s assistant Professor Alexander Trofimov entered and asked if we wanted to see the hypo-magnetic chambers. There was a test there – to see if we could tell which one was actually switched on, and on passing the test we were allowed into Nikolai Kozyrev’s time machine deep in the basement of the building. It is sometimes called Kozyrev’s Mirrors or Kozyrev’s Space. Our time in K-Space lasted just eight minutes. The effect was like floating in space. We were aware of seeing things – like early childhood flashbacks – and it added up to something very similar to shamans’ descriptions of going up to the Black Sky (one of the Nine Skies). Just before going into K-Space in Akademgorodok, I had been given my first dungur. And shortly after coming back from Siberia, Tim and I took that walk in the countryside and came to the conclusion that there was a way of making music which relied on natural rules of co-existence, as opposed to Western musical rules which deny a lot of co-existence. My approach to music making changed decisively following my experiences in Siberia. For me it starts with the dungur and the expanded possibilities of variation arising from its superficially apparent instability. And it continues to open up with other musicians being equally free in themselves and in the context of a group. That opening up has the capacity to expand and expand further making the playing fresh, different and spontaneous each time. KEN HYDER, drums, percussion, voice, has been playing and composing music for over 40 years. In that time he’s produced over a couple of dozen albums of original material. He began playing jazz in Dundee, Scotland before moving south to London where he studied under John Stevens – himself a renowned workshop leader and innovator. Hyder formed Talisker and went on to make six albums with this pioneering Celtic jazz group. In the 1970s he began moving away from jazz and into collaborations with musicians from different musical backgrounds including Irish, South African and South American players. Later, he became interested in exploring spiritual aspects of music with spiritual practitioners like Tibetan and Japanese Buddhist monks, and Siberian shamans. In 1990 – with Tim Hodgkinson, a musical partner since 1978 – he began the first of several long playing/field-trips to Siberia. They played, performed and recorded with a wide range of musicians, and spent time with shamans and academics in the region. They include musicians Anatoly Kokov, Boris Tolstabakov, Borria Tomilov, Valentina Ponomareva, Sainkho Namtchylak, Bolot Biryshev, Sergei and Marfa Rastarguev, Albert Kouvezin, Alexei Saaya, Gendos Chamzyryn, Chyskyyrai, Radik Dulush; shamans Nicolai Michailov, Yeremi Hagayev, Kunga Tash-Ool Buu, Mongush Kenin-Lopsan, Kara-Ool Doptchun-Ool, Makar-Ool, Sergei Tumat; Sergei Ondar; Tepan Manzyrykchy; academicians Vlail Kaznacheev and Alexander Trofimov (of the Russian Academy of Medical Scientists – Siberian Branch). He has conducted improvisation workshops, and also workshops dealing with improvisation and folk musics, and with spirit in music. In London he has worked at the Royal Academy of Music, Community Music and Music Works. Elsewhere he has run several workshops in Russian conservatoires (Moscow, Ekaterinburg, Novosibirsk and Kyzyl); France, Italy, Germany, Holland and Finland. His current projects include K-Space with Tim Hodgkinson and Gendos Chamzyryn; Hoots and Roots with singer Maggie Nicols; a duo with Vladimir Miller, piano; Raz3 with Hodgkinson and Lu Edmonds; Real-Time with Z’ev and Andy Knight. This paper outlines from a personal perspective our work on music and shamanism in Siberia from 1990 onwards, starting out from our first preconceptions of what shamans were doing, our early encounters with a wider shamanic culture that seemed to provide a source for artistic inspiration, and leading, through a deeper and more long-term engagement, to the development of artistic, organisational and research-orientated projects. I decided to write up our work on music and shamanism in Siberia as a process of learning from mistakes. Alternating between observing and participating, being on the outside and being on the inside. I had wanted to set things out according to the years they happened in. But human time is not sequential but crosscut by memories and plans, and we are still re-understanding things said to us by musicians and shamans years ago. By the late 1980’s Ken and I had already been playing improvised music together for the best part of 10 years. We shared a belief in the aim of giving audiences an intense and extraordinary experience. And we’d got into the habit of talking through the ideas behind our playing. One night, discussing the relevance of states of mind to the playing of improvised music, I remembered shamanism from when I read anthropology at Cambridge. There seemed to be two potential connections. Shamanic performances had a large element of improvisation as compared with the fixed rituals and liturgies of other religions. And shamans prepared for their performances – which might suggest that improvising musicians should do the same. By chance we found ourselves invited to tour Siberia as an improvising duo in 1990. We quickly realised that Siberia had been the home of shamanism and we wondered if anything of it had survived. On this first visit we met no shamans, but only people who knew them or spoke of them. In particular Sanka Kostiakov of the Khakass People’s Movement, a young journalist and politician who told us that Russian culture had robbed his people of their spirituality, and was campaigning for the return of shamanism. Also in Abakan, which was only the second concert of the tour, we were suddenly given the opportunity to perform with the Khakassian throat singer Anatoly Kokov. ‘Tomorrow morning you will have the television broadcast, and, by the way, will also be local singer, and maybe you can do something together…’ We arrived at the studio, set up the gear and met Anatoly. Then it was time to record. We had no time to discuss what we were going to do. We played a short set of around 20 minutes. It seemed to us Anatoly was not at ease. He wasn’t singing much, mostly staring into his cup of tea. We decided to try again and we said to him that we should not worry about the music but simply play the spirit as we felt it together. There was a longish pause whilst the technicians wound the tape back to the right place. They didn’t have editing facilities so they would drop the new take in exactly the right place, recording over the first take, whilst keeping the introduction to the programme. The second take felt much better and Anatoly seemed very pleased afterwards. We had made a small but significant step, discovering that a common ground could be found with a musician of another culture on the basis of spirit. During this tour and later tours this idea was reinforced many times by comments from Siberian audiences. The music we were playing was free improvisation of a kind bracketed as avant garde within Western culture, with an appreciation generally limited to a small educated group. Our approach to playing in Siberia was not to dilute this in any way but rather to play it as convincingly and as hell for leather as possible. Yet in Siberian cities, small towns, and, later, remote villages, we played to audiences representing an inclusive cross section of society and spread right across the age range. Listeners spoke to us about closing their eyes and having visions, or mentally flying whilst they listened, and instead of asking about our equipment or telling us that our music was difficult, they asked about our energy levels during performances, or about how we managed to return to normality after a concert. Sometimes older people prayed during concerts. In Buryatia, the instrument maker Baldin Gamboyev told us that our music was ‘the old spirit music, just played on new instruments’. Is it in fact possible to share an experience with someone from another culture? Is it possible to share an experience with another person of your own culture? Or do we at best share the codifications of such experiences in language? If one can make any movement towards this it will be through gaining some understanding of the narratives of the other, the underlying patterns and stories that organise the sense of what is codified. But in 1990 any access to this level was for us still in the future so far as Siberia went. As for shamans themselves, we had still not had any direct contact. We were thinking of them as performers, in the Western sense, but performers who had developed skills to manipulate their audience’s frame of mind. Possibly this was the way forward that we saw for our own music at the time. We’d noticed, from listening to the few recordings we had, that the way shamans played the drum seemed to involve almost constantly changing the tempo and shifting the accent, and that this seemed to be a unique characteristic of shamans’ playing. Working from the ideas of Robert Ornstein about the sense of duration being linked to how information is grouped in the mind, we thought a shaman was probably inducing a kind of information processing crisis in the minds of the audience. Listeners would then enter a highly suggestive state in which their experiences would be organised by clues given by other aspects of the performance such as the chant. As soon as we began to meet shamans themselves, from 1992 onwards, we realised that there had to be something very different going on, because everyone was talking about SEEING. We met the Buryat shaman Nikolai Mikhailov who told us that he could summon his helper spirit – his grandmother – with no more than a clap of the hands. Nothing that he described seemed to fit our model. Arriving in Tuva for the first time we interviewed Salchak Mongush, an actor in the Tuvan national theatre who specialised in the role of shaman. He told us that after performances of plays, when the company was out on tour in the taiga, people would sometimes ask him to come to their yurt to heal someone; he would decline, because, he said, ‘I do not see’. Now a shaman seemed to be a person with a gift or training for seeing, and this was an internal kind of seeing, so they were someone whose imagination had been organised in a particular way. In Tuva in 1992 we also met Kenin Lopsan Mongush who introduced us to Tuvan shamanic mythology and cosmology, giving us our introduction, so to speak, to how this imagination might be organised. And we met the as-yet secret shaman Kunga-Boo Tash-Ool officiating as a Buddhist lama in Samagaltai. Both these characters seemed to resonate in our minds for long after we returned to England. We now arrived at a phase, which would turn out differently for each of us. For the first time we felt as if we were entering under the influence of shamanism. It was no longer a cultural institution that we were observing from the outside. An enormous number of apparently random circumstances had brought us into contact with individuals who had the means to show us shamanism from the inside. We were imaginary apprentices of a training of the imagination. We started playing dungurs – shamans’ drums – together. We acquired helper spirits and learned to summon them. Rather than just improvising we tried to focus on the non-musical purpose of the act of drumming. All this time we were gaining more experience of working as musicians with the local musicians we met. We hung out and performed at a festival in Kyzyl with the Tuvan group Biosyntes. Their music was an extraordinary mix; everyone in masks and robes, pounding drums and shamanic leaping, violin and cello swapping hectic atonal lines. Before the concert they listened to some of our recordings: ‘This has got drive’, they said: ‘we can work with this’. On the same trip we met Marfa and Sergei Rastarguev in Yakutsk and recorded with them – also with Sasha Berioskin. Marfa and Sergei seemed to shape-shift effortlessly between cultural roles that just wouldn’t fit together in the West. They could demonstrate acrobatic circus routines, and they could go into passionate free improvisations filled with animal and bird sounds. It was starting to seem that a wider shamanic culture was available for use by artists, without them being shamans and without involving them in the specific dangers and responsibilities of shamanising as such. So far as music performance was involved, this shamanic culture could be referenced by the use of shamanic costume, dance and instruments. Hand in hand went the referencing of the natural sound environment, present not only as sound material, in the imitations of animal and bird sounds, but also in the organisation of the music as a parallel natural sound world in which the different voices had ecological relationships rather than those recognised as ‘musical’ in the West. This seemed to be as true of Sakha artists, such as the Rastarguevs and the rock based groups such as Cholbon and Ai-Tal, as of Tuvan musicians. This despite the fact that Sakha cultural leaders tended to the view that shamanism was dangerous and should be kept away from Westerners, whereas Tuvans favoured maximum media exposure and working with Western organisations. One evening a local journalist seized the opportunity of a power-cut to interview us before a concert in Gorno-Altaisk. She asked: “How can you claim to play shamanic music, when there is no body on stage?” It took a second to realise that she meant that there was no sick person on stage waiting to be healed by the music. We explained that a concert could be a particular form of shamanising where the occasion, the demand, was not a specific one, but the general one of the state of the society, its spiritual health, and its relations to the natural world. But we were less sure about this than we made out. This question of the boundary between art and shamanism would continue to come forwards towards us in many and varied situations. Back in London we met and worked with the Korean mudang Hi-ah Park. No longer inside her own culture, Hi-ah was formulating ideas about the universal pan-human value of her ritual dances, ideas in which the boundary between art and therapy was blurred. But from within a Western perspective the cultural politics of referencing shamanism was problematic. T.M. Luhrmann wrote about the appeal of magic in the modern West as based on the promise of emotional and imaginative intensity but without the requirement of doctrinal belief that a rational person might find off-putting. Western neo-shamanism slots into this wider New Age scene and has the same ideological function of recuperating exploratory impulses away from social forms of change towards individual self-improvement. ‘Other worlds’ become virtual and not political possibilities. What could we contribute to the teaching of improvisation in the West? For use in workshops, I started to draw loosely on the ideas of Eugenio Barba, ideas which taken together make up what is known as ‘Theatre Anthropology’. We found Barba’s techniques translated well from theatre training to music improvisation training. Barba believes that all performers in all human cultures do the same basic things when they prepare to perform, that is, they organise their bodies, and their minds within their bodies, differently from how they organise them in everyday life. There’s a different balance, a different distribution of attention and physical energy within the body. Barba calls this the ‘pre-expressive’ because it is prior to any specific expression or discourse. But Barba’s actual theatre work presented itself as if using these techniques moved it into a cultural zero-state, a privileged space outside all human culture. The effect is that of a cult, a kind of ‘jargon of action’ defending itself vainly from the surrounding actual socio-political context. The way we applied Barba’s ideas stayed resolutely impure. I would say that we used the pre-expressive to get to the expressive, rather than as a way of pushing away the problem of what to express. By 1996 we had started to learn from more extended collaborations with Siberian musicians. We did different series of concerts with the Tuvan musicians Albert Kouvezin and Alexei Saaya, together with Valentina Ponomarova, and with Altaian singer Bolot Biryshev. Going beyond the one-off meeting situation was important because you could start to place yourself alongside the other musicians in terms of trying to find solutions to problems that you faced together. One night with Bolot we arrived to play a gig in Novosibirsk to find ourselves in a particularly depressing and expensive cocktail club. Finally Bolot suggested that our approach to the gig should be to try to make people cry. Whether we succeeded or not I don’t know but it certainly dissolved the alienating effect of the environment on us. With Gendos we invented ourselves as the group K-Space, a playful image-field containing notions of connections across distances which could be cultural and geographic…..the Tuvan notion of a spiritual communion between land and people, but universalised via a Russian tradition of esoteric cosmology, K-Space, named after the Russian astrophysicist Nikolai Kozyrev, recognises specific times and places, such as when and where you are born, but allows them to be connected and traversed. It is a kind of symbol for the peripatetic collaboration of its members. Possibly it connects with the unmeasured nomadic spaces described by Deleuze and Guattari in Mille Plateaux, or indeed by the Bedouin poets of Arabia many centuries before. More recently the group has started using xenochrony in its recorded work, superimposing field recordings made throughout its entire history in extremely varied locations as a way of inviting listeners to join us in K-Space. Like Gendos, Ken and I had early musical experiences that drew us out of our immediate backgrounds and into a wider world. It is probably this path that is initially shared between musicians of different cultures: it suggests a pattern of movement relative to the native culture of each. However, in the communicative field opened up in such meetings, cultural differences must then be allowed to collide. Without this, the work we do together is aesthetically untrue and politically dishonest. The work must never pretend to dissolve cultural difference. As work, it tries to take up into itself (to ‘musicalise’) the contradictions and problems of its own productive surroundings. This seems to me to be as good a definition of authenticity in art as you will get – as applicable to folk music as to experimental music. When someone comes from outside the productive conditions that have formed a musical tradition and tries to recreate that music, they are creating an emblem of the music but it is not the living thing itself. The outsider has one chance only, and that is to enter into the productive relations of that music, that is, to live, in part, the life that that music is musicalising. music articulates the complex relations between the cultural and the precultural dimensions of the human. If so, then we already have half the equation. Perhaps we all already have an innate inner working model of outer acoustic space, a virtual sound-space primed to enact the movements of voices and sounds around us. Perhaps all music choreographs this space first, and only then out of it forms the territories we identify as tonal, or metric, or raga, or maquam. Perhaps such a fundamental transcultural sound-space is what allows us to be seized by unknown musics, even where we have no tools for decoding their meaning. The musician’s job is to musicalise stuff. By 1998 we’d been thinking about the organisational side of meetings between experimental art and the cultures of remote rural communities in the hinterlands of Siberia. Music tours usually finance themselves from concerts in big cities, but we wanted to get out into the taiga. We wrote a manifesto and developed a project that we named Radical Transcultural Initiatives. On this basis our contact in Barnaul, tour-manager and agent Evgeni Kolbashev, fixed up sponsorship from local Siberian companies for a tour of the Altai Republic. Gendos Chamzyryn’s presence on this tour was crucial, not only as a musician, but also as a speaker of the Tuvinian language – closely related to the Altaian language. Gendos helped establish a relation of trust and respect with villagers. A typical pattern emerged. We would camp some distance outside a village. Next morning we would drive in and children would come running after the cars. We would stop and do a short impromptu concert for the children. During this time, adults would show up. Then a more formal concert would be arranged, say outside the village, on a riverbank. Musicians would be fetched from their homes, perhaps bringing the village’s important objects and costumes for display. Gendos would start proceedings with a demonstration of Tuvan throat singing. We would then play a freely improvised piece. Then the Altaians would show us their music…. and so on. All the time more people would arrive from the fields, some watching the concert on horseback. Afterwards we assessed the results. Although we spent more time out of town we didn’t get far enough with playing with local musicians beyond the very early stages of contact. We were still limited by lack of time, because to go into these regions you need a support team. Establishing contact and trust takes longer, and that means a big taxi meter ticking away somewhere…which day do we have to return the truck? When do the drivers have to get home? How many days’ supplies have we got? What did I conclude about art and shamanism in Tuva? As we have seen, Tuvan artists, like those elsewhere in Siberia, feel free to draw on a general shamanic culture. But Tuvan art is shamanic in a deeper way then simply referencing shamanism. Tuvan art is produced within the framework of a creative psychology that is conceptualised and experienced as spiritual. An artist is free to ask permission from spirits, and to receive help from spirits, within the context of an aesthetic process. Furthermore, a person who listens to, or looks at, art may receive küsh, the spiritual force residing in the work as a result of the artist’s inner moment of creativity and dialogue with the spirits. But what follows depends on how this person perceives and receives this force. So art does not make a direct and potentially drastic intervention like the shaman’s ritual, which changes not only the person but all the relevant objective circumstances surrounding that person, not just inviting a response, but sending force directly into a person and their world. In Tuvan culture, the ritual actions of a shaman are aimed at objective results and are felt to have objective effects. It is the lived problems of everyday life, coming to an acute point, that provide the occasion for calling on the shaman. Shamanising is case-orientated, and art is not. A piece of art is in the world, something that a person could encounter or not. The connection between a person and a work of art comes from the way that work opens towards the cosmos, and the interplay between that opening and the person’s circumstances. True, a performed art, such as music, tries to be as case-orientated as it can, tuning itself to time and weather, place, and the feel of an audience. But this can’t match the detailed crafting of a shamanic ritual to fit a personal crisis, with the careful astrological reckoning, the ‘inner’ and ‘outer’ observation, the probing questions asked. Whilst art addresses persons, ritual objectively changes the world around and inside persons, dealing with all the circumstances, near and far, that bear on the case. Although much of art’s work takes place in the imagination, the artistic imagination is always fundamentally orientated towards an image that requires to be made in the real (i.e. ‘this’) world. The dialogue is between maker and materials, via the imagination. The convergence between the plane of imagination and the plane of material is effected by a physical process of making. It would be wrong to oppose sacred imagination (as collective) to artistic imagination (as individual). Artistic imagination is itself culturally and collectively constructed. At the heart of Tuvan artistic imagination is an image of nature as a totality, as a cosmos. It is towards this cosmos that an artist strives to open. Artistic skill is knowing how to work this opening towards the cosmos into the materials of sound or stone, by revealing the inner nature of these materials. Thus the emergence of xoomei throat singing from a background of shamanic belief seems quite logical when understood as deriving from a cultural tendency to want to unveil the hidden inner character of a phenomenon, rather than to manipulate its exterior. By filtering and amplifying the upper harmonics of a fundamental vibration we are unveiling its hidden life. Tuvan melody is the unfolding of the inner nature of a single sound because it is made completely of these upper harmonics. The power and cunning of artist and shaman diverge, the shaman primed to negotiate sacred worlds, the artist ready to hone a particular vocal technique or visualise the exact way a deer leaps. We can watch where the care goes, where the attention goes. Take the shaman Kunga-Boo, who is also a carver. When speaking of his carvings, he uses an unequivocally aesthetic tone: “Look at this, look at how beautiful it is, how the two goats are standing together, the composition”. As the only carver I know who works in horn rather than stone, he talks about horn being a finer and stronger material than stone, how this allows him to achieve greater delicacy in the figures. His work frequently shows a sense of exploiting variations in colour and texture of the material to achieve a more ‘living’ quality in the figure. In this sense the carver Kunga is truly a maker, focussed on taking physical stuff and crafting it into a physical thing. But as a shaman Kunga also makes ritual objects that have a ritual function, such as acting as vessels for spirits. Such objects may be the ongon given to householders to keep in their homes, to be prayed to, or given small sacrifices of food. Here his approach is completely different. Although the ongon depicts three human figures, it does so in the most rudimentary way: the work is done quick, using felt, metal, or wood, whatever is to hand. The care is directed at ensuring that the ongon really is a recipient and holder of spiritual energy. Its form is merely adequate to this function. This particular trip, our most recent, was also notable for two concerts involving musicians and shamans that we organised in Kyzyl. This was not to make a point about Tuvan music, along the lines of Ted Levin ‘curating’ a tour of mountain streams to demonstrate that throat-singing is mimetic of nature. We wanted to offer this as something artistically innovative, but without disrespect for the deeper shape of Tuvan culture. The shamans we invited did not ‘act like shamans’ on stage. Innerly they shamanised, but outerly they were like musicians.